Decades of dedicated mechanical action & mild spot removal machinery taken to a new level! KREA Swiss (formerly known as KREBS Switzerland) has early faced the challenge of innovative spot removal systems and respectively found innovative solutions via permanent product development initiatives. Since 50 years KREA Swiss – up until 2015 known under the distinct brand name KREBS Switzerland – is present on the global market for effective stain removal in textile finishing and garment production. Today KREA Swiss offers handy spot cleaning spray guns and larger spotting systems with integrated drying in combination with dedicated solvent liquids. For the development of these systems KREA Swiss works in close collaboration with the textile manufacturers, chemical industry as well as the Hohenstein Research Institute. 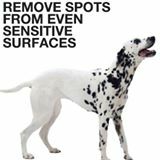 Typical spot removal solutions rely on aggressive chemicals like Amyl Acetate that are hazardous and can be highly toxic! Hence, the idea of spraying a fine mist of something as combustible as petrol in a dusty environment full of dry textiles does not seem logical. Long before the banning of dangerous stain removing hydro-chlorides in the 1990’s, KREA Swiss (formerly KREBS Switzerland) pioneered a “mechanical action spot removal solution” which negated the need for harsh chemicals. Customers – from high through-put industrial factories and laundries to the smallest dry cleaner, tailor, fashion shop, hotel or nursing homes – quickly understood that the combination of our SOFTsolvent and heated SOFTsoap together with the pulsating spray jet action provides an economical, simple, fast & environment friendly alternative. Powered by a purpose built spray motor with a pulsating action, the stain is literally “pushed” (with the SOFTspot system also “pulled”) through the material rather than relying on aggressive chemicals to dissolve it into the air. The jet power, fluid usage and spray pattern have been specifically developed to optimise the stain removal process, saving users significant time and money, whilst reducing health and fire risks associated with often used chemicals such as Amyl Acetate. · DRY stains (oil/chemical based). Different stains can of course react differently depending on the fabrics and as such, 100% spot removal success can never be guaranteed. However, due to the stain busting pulsating jet and the dissolving cleaning liquid features, the KREA Swiss cleaning tools (system or cleaning spray gun) arguably provide better stain removal potential than other comparable spotting tool on the market. Oil based spots such as lipstick, grease, lubricant, make-up and rouge etc. are generally removable with our mild SOFTsolvent, whilst mineral based stains such as dust and sweat are better removed using SOFTsoap. Our range of special K1–K4 solvents can be used on difficult to remove stains such as rust and wine- see spotting chart on page. A. During MANUFACTURING process: mainly oil, pen, dust, worker contamination etc. B. RETAIL environment when trying on clothes: make-up, hair dye, blood, dust, pen etc. C. POST SALES: compliments FOR EXAMPLE dry cleaner & laundry solutions, hospitality providers such as hotels, hospitals, cruise ships etc. · WORKERS producing the garments breathing in toxins. Re-known brands and companies such as Marc Cain, Triumph, Olymp, Loden Frey, JD Williams, Hugo Boss and many more are working with KREA Swiss (formerly KREBS Switzerland) professional equipment.